Simply Brown, is just that, it's a very simple/basic skin, nothing fancy. 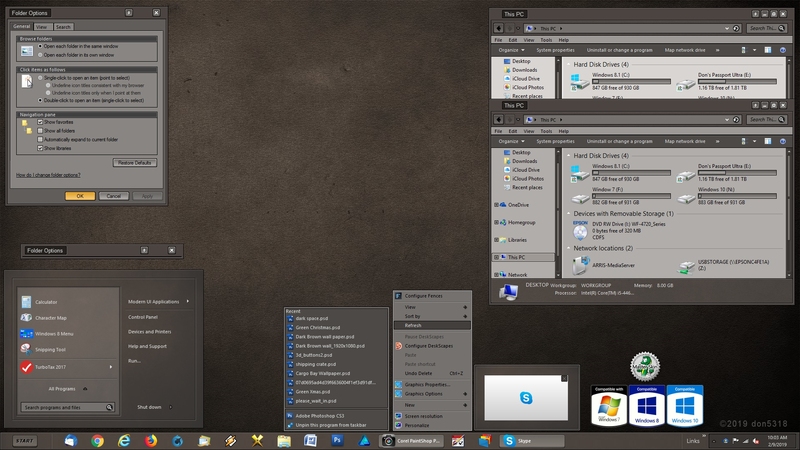 Has sub styles for Win 7, Win 8.1, Win 10, roll up button, light/dark Explorer background, so enjoy. Very nice again as they all are. Very nice Don.....simple yet elegant! Why say good work Don.